When my daughter was a baby it was my job to decipher her noises and know when she wanted to be fed, to be changed or to have a nap. As she began to develop her own unique babble the same remained true, even if her requests were a bit more specific – such as knowing “mee bu” meant “I really want my dummy and bunny”. Who else is going to know that except me (or her mum) – after all, as a parent you know your child best and what they want. A short time later my daughter began to grow quickly and so did her vocabulary – her language skills flourished and there was no stopping her. Soon my little chatterbox was able to let everyone know important information about herself. However, this isn’t true for all children as some find it difficult to make their needs known. So, what’s the answer? When I worked for my Local Authority’s Educational Psychology Service I was fortunate to visit many schools – I had the pleasure of working alongside numerous AMAZING ALNCOs, class teachers and LSAs that do a wonderful job providing support for the plethora of needs presented by children in their classrooms. Some learners have detailed support plans and their needs may often be very clear such as a child with epilepsy needing to take their medication at certain times during the day or a child with cerebral palsy needing braces, crutches or a wheelchair to get around the school. These needs and their support plans are usually reviewed regularly and parents are encouraged to contribute so that information is up to date and as relevant to their child as possible. Other children though may not have such plans in place or even have any identified ALNs and what’s important to them may just go under the radar. My step daughter was a classic example of this – no Statement of SEN, not even on the code of practice as SAP or SA, but in many ways she was more affected by her anxiety than many of her peers were by their respective ALNs. It is because of her needs, and those of other children like her, that I would believe all primary schools would benefit from introducing a One Page Profile (OPP) scheme. A One Page Profile is just like it says on the tin! It’s a single page that captures the important information about a person – what’s important to them, what people like and admire about them, and how they want to be supported. Simple to put together and can make a whole world of difference to a child. OPPs are written for educators to help understand any ALNs or particular behaviours a child may have to enable the appropriate help to be provided. It’s easy to get caught up in the jargon and there’s plenty of resources available online if you do a search. Put simply, yes it is a tool that features under the ‘Person centred planning’ umbrella approach and is mentioned in the Additional Learning Needs and Education Tribunal (Wales) Act 2018. No, it is not new – many schools have been using tools like this for a long time. In England they tend to call this a ‘Pupil Passport’. What ever you call it the fact is that a One Page Profile can really help. The most effective OPPs are created by the child themselves with their parents and carers and input from staff and friends who know them best. Depending on the needs of the person, some may require a bit of extra support to capture their views and wishes – however, spending a bit of time here will pay off. Reviewing the OPP termly is a good idea to ensure everything’s up to date. This is especially important for younger children as their needs may change more frequently. 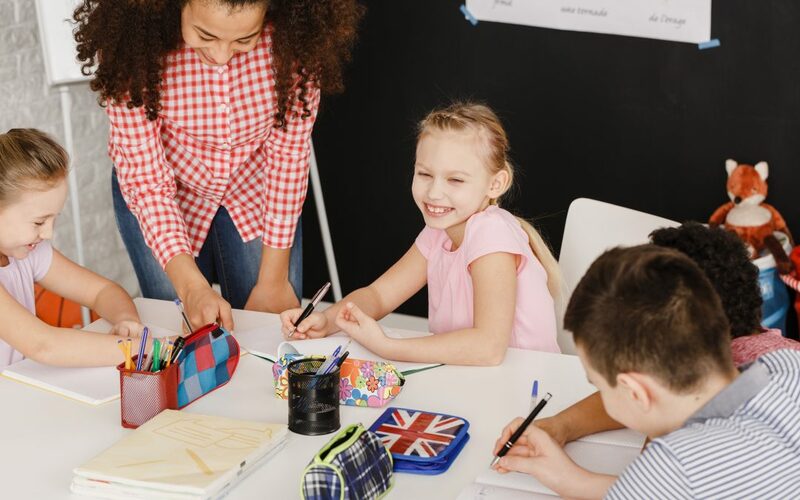 Once complete, the OPP is then given to the adult in charge of the class, who can discuss its contents with parents and carers to ensure that everything’s clear and understood. From there, the OPP can be shared with LSAs and any other members of staff the child might encounter throughout their day. If you have a OPP then share the knowledge. A good example of where this didn’t happen was in one school that I worked in. One of the children would only eat his school dinner if his food wasn’t touching on the plate. On one busy school day there was a change in the kitchen staff and the cook dishing up the dinners wasn’t aware of this specific information so on this particular day, the child came home very hungry having not eaten anything at all, because his beans were touching his fish fingers and chips. If the OPP was shared that information which was very important to the child would have been passed on. OPPs can also go with children to their next school to assist with a smooth transition. When I visited primary schools to provide advice about how the school can best prepare their children for secondary, I always highlighted the power of OPPs. Some children with ALN have extensive documents which transfer with them such as statements of SEN, IDPs, EHCPs and so on. In the real world it can be very difficult for the receiving teacher to digest all the finer details when there are 30 plus per class. However, passing on the key messages in a OPP can make the process much more straightforward and help give parents the confidence that their child’s most important needs are going to be at the top of the list. Every child feels apprehensive ahead of a new school year. Some might have a new set of classmates they don’t know, others a different teacher – but some children will also be conscious of a different chair, the background ticking of a different clock, differently coloured walls, even the way sunlight illuminates different areas of the classroom. Every parent wants to feel that they’re doing the best for their child, rather than sitting by feeling helpless. With some parents and carers wary of approaching teachers too often about the concerns they have for their child, a OPP gives them a sense of control and a starting point for structured conversations between them and the school.